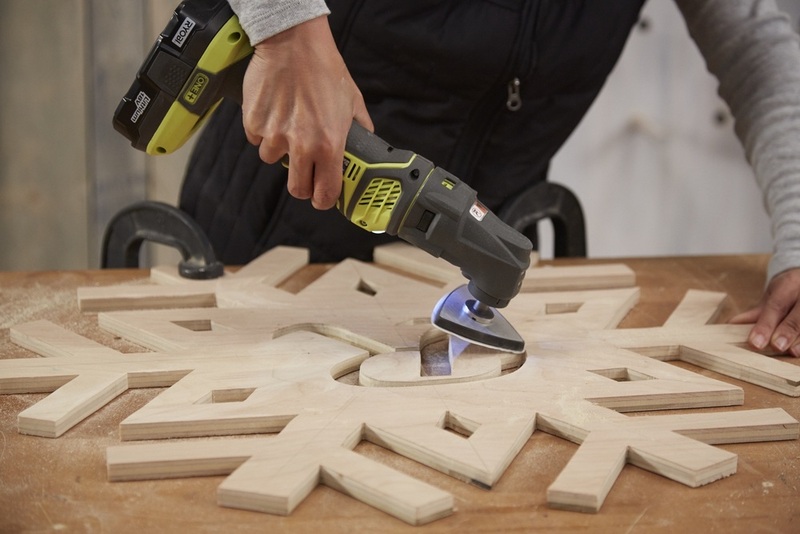 This Holiday season, deck the halls in a big way by making your own giant snowflake, monogrammed for your family! It sits perfectly on your mantle, hanging on your front door, or even outside. 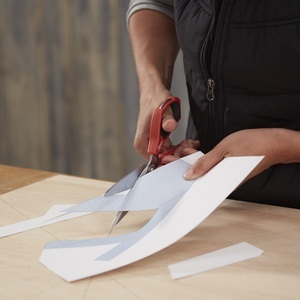 You’ll love making this project, and the low cost of it all! 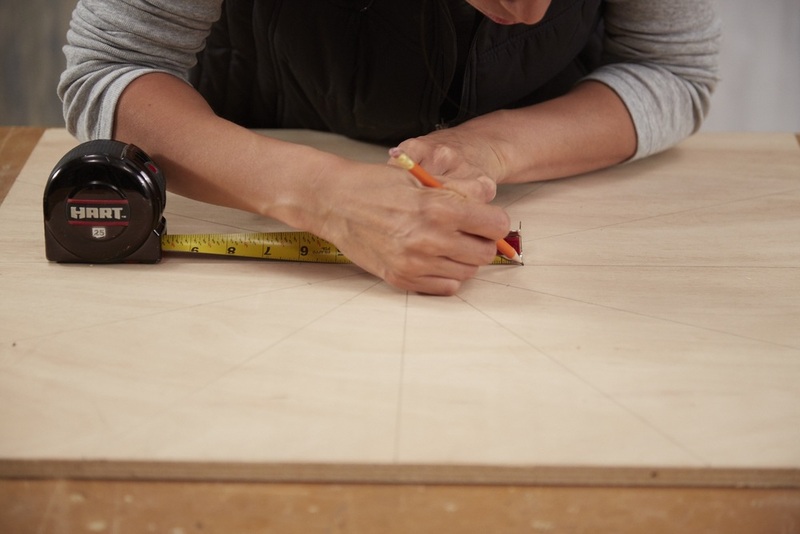 On each corner, measure up the edge 5-1/8” and 12”, and make your marks. Do this on both sides, on all four corners. 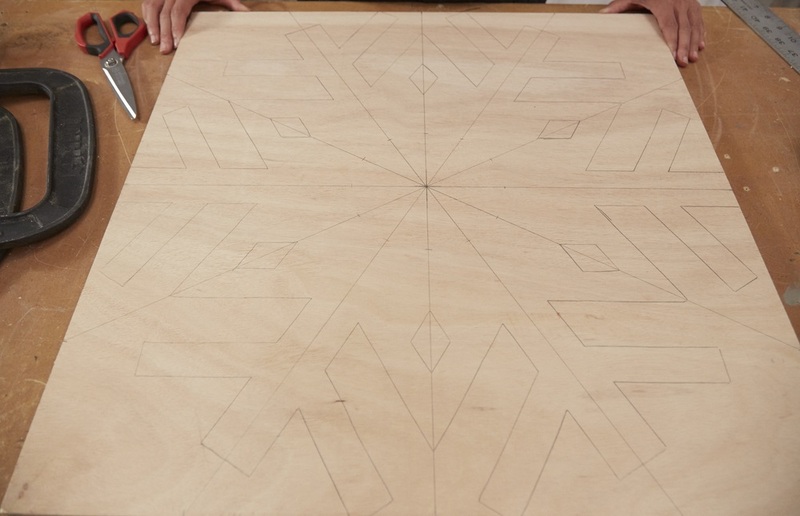 Then mark the center of your wood. 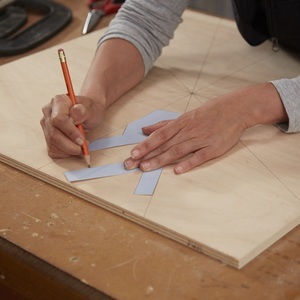 Use your straight edge to draw lines between opposite diagonals, always through the center point, like you are cutting a pie into 12 pieces. 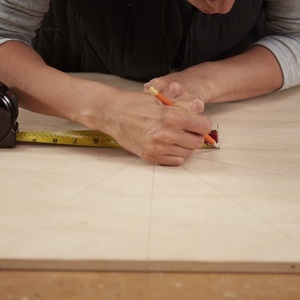 Measure out from the center point 3” and mark on every line. 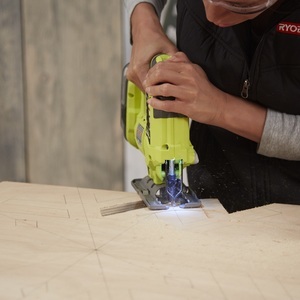 Download the free template from Ryobi Nation, and print and cut it out. Click here to download the snowflake template for this How-To! 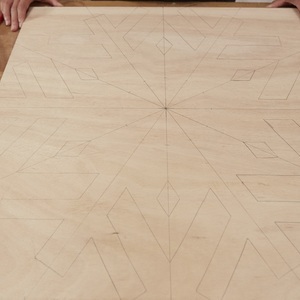 Position the pattern so that the bottom matches two of the marks 3” from the center of your wood. Trace the template. 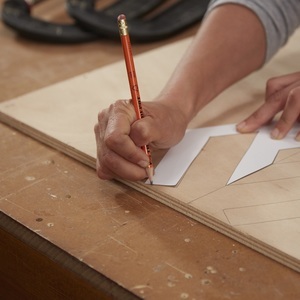 Flip the template, and trace out onto the next section, matching the bottom points to the 3” out marks. Repeat until you have a snowflake drawn on your plywood. 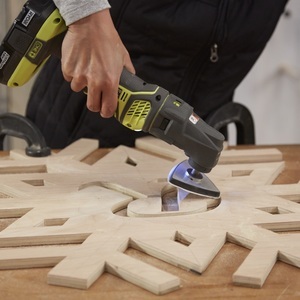 Use a jig saw with a scroll saw blade to cut out the snowflake. 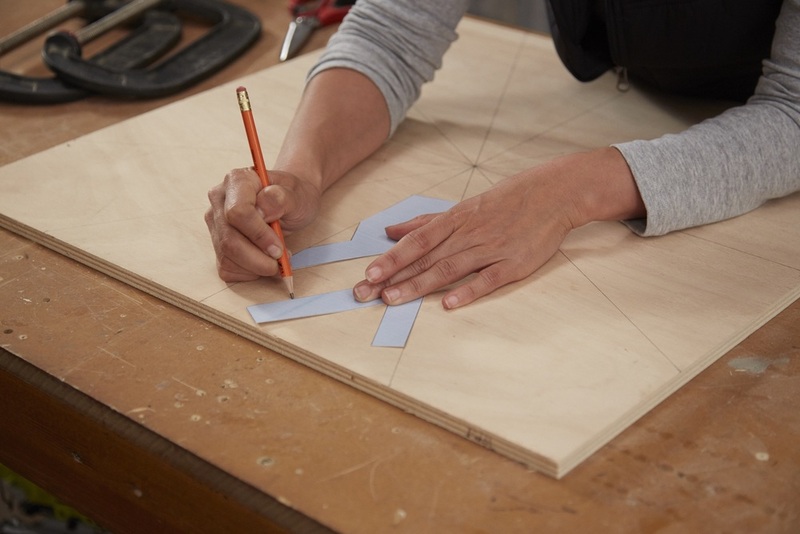 Make sure you clamp the wood to a solid surface, and position the area you are cutting so the jig saw will be able to move freely. 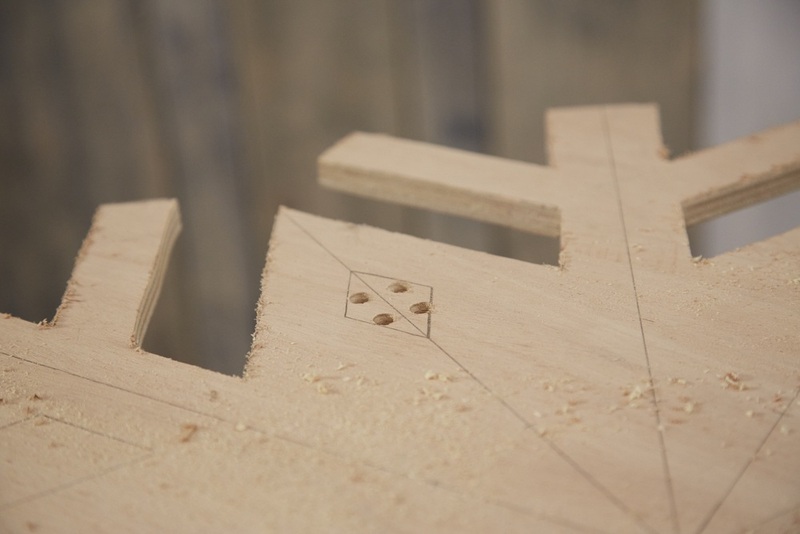 For areas that are hard to reach or enclosed in wood, drill a hole large enough for your jigsaw blade to fit through in the center of the area to help start your cut. 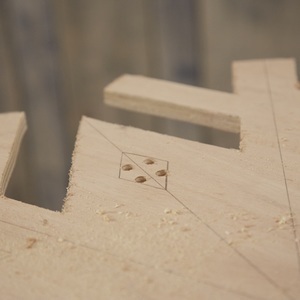 Then cut from the drilled hole. 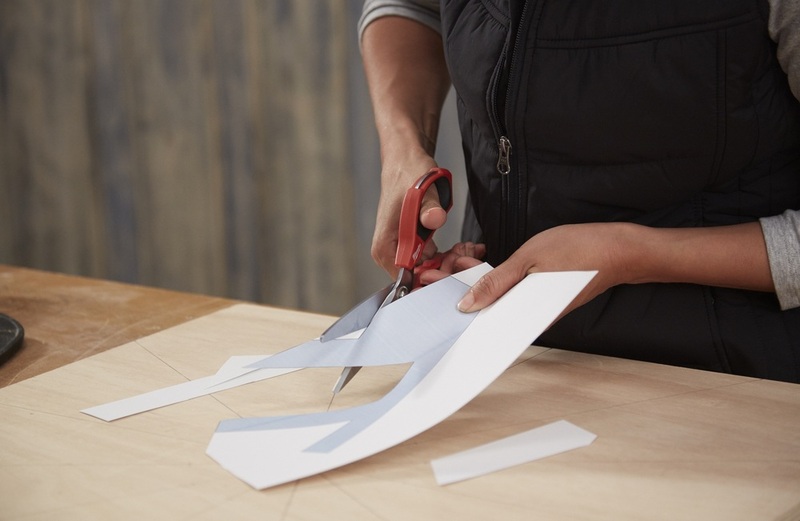 Drill holes where needed to start your cut, and begin cutting. 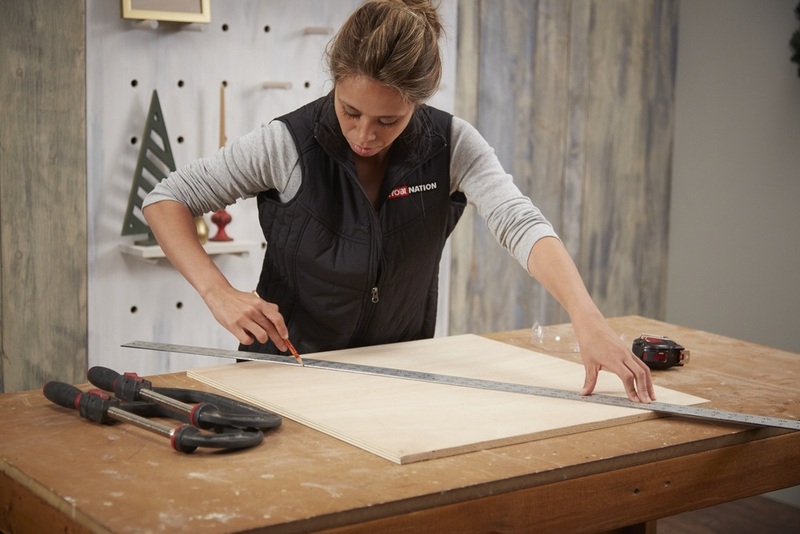 Once finished, lightly sand any rough edges with your sander. To completely finish, I primed and painted mine! You can use this method, or stain your snowflake. Happy Holidays! I LOVE this snowflake design - the monogram makes it extra special. 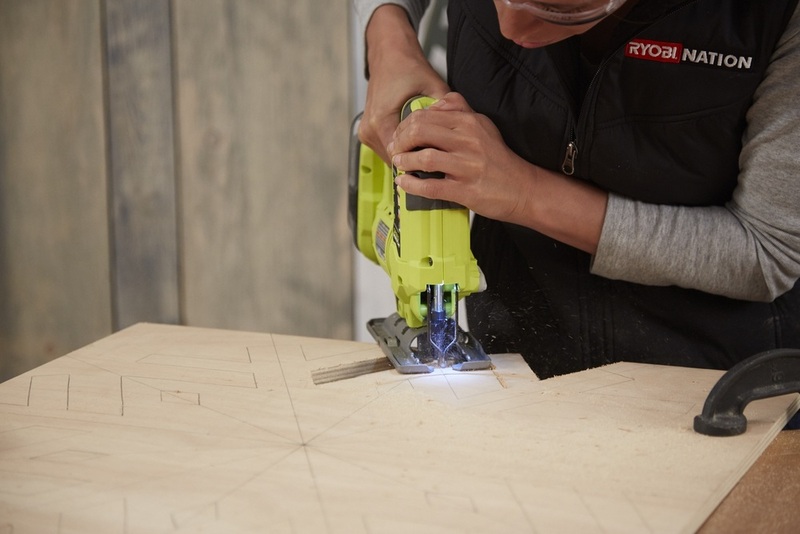 Also enjoyed watching the video on the RYOBI Holiday Headquarters site. Thanks! Happy Holidays everyone! 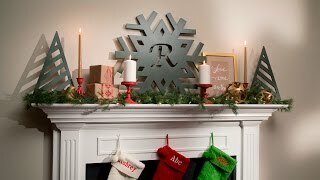 This Holiday season, deck the halls in a big way by making your own giant snowflake, monogrammed for your family! It sits perfectly on your mantle, hanging on your front door, or even outside. 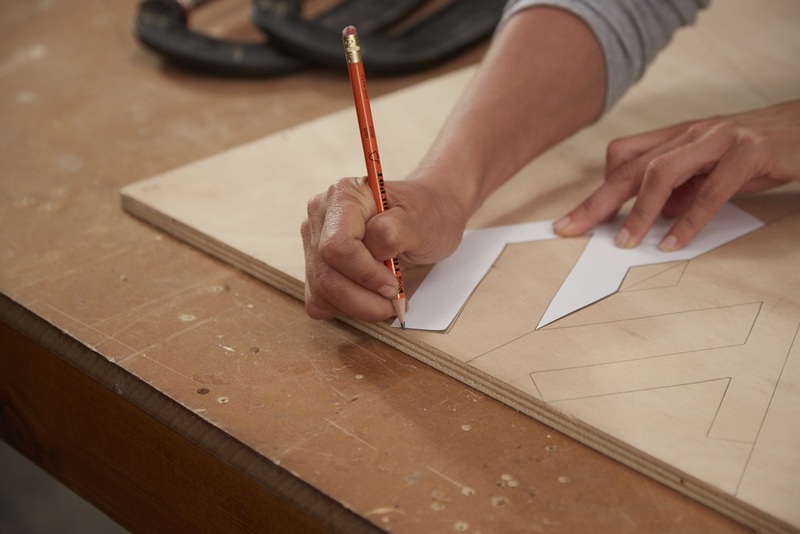 You’ll love making this project, and the low cost of it all!